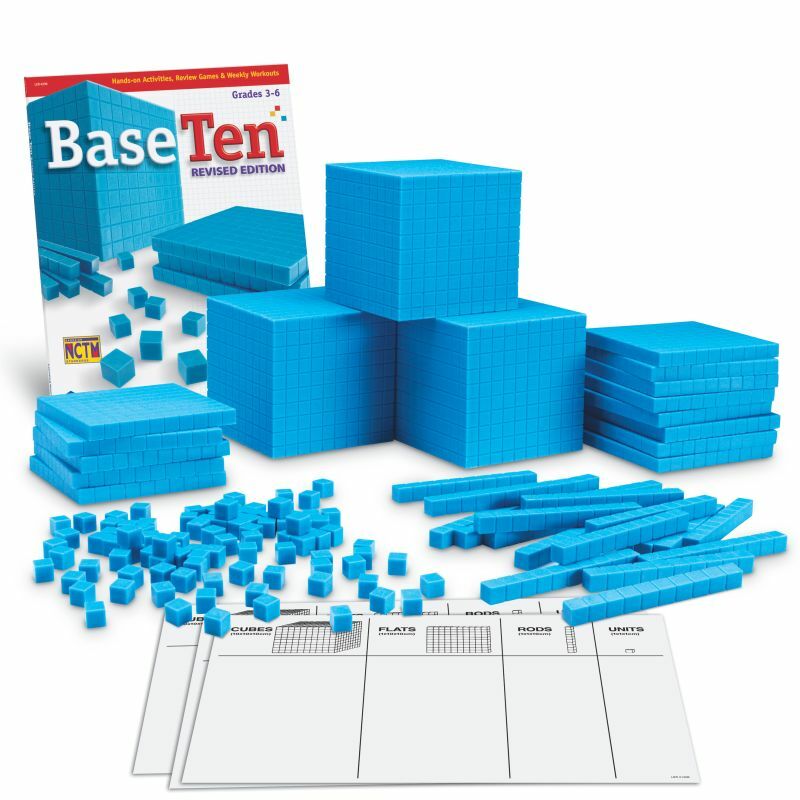 This classroom set of base ten components helps students understand abstract base ten concepts, including place value, estimation, operations, fractions, and more. Plastic set is washable and durable for years of hands-on activities. Great for whole-class instruction, small groups, centers or individual exploration. Set includes 600 units, 200 rods, 20 flats, 3 cubes, and Base Ten book (LER 4296). For 20-25 students.